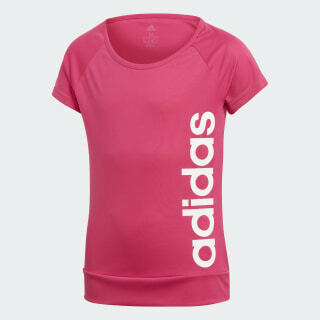 A sweat-sweeping training tee with an adidas graphic. 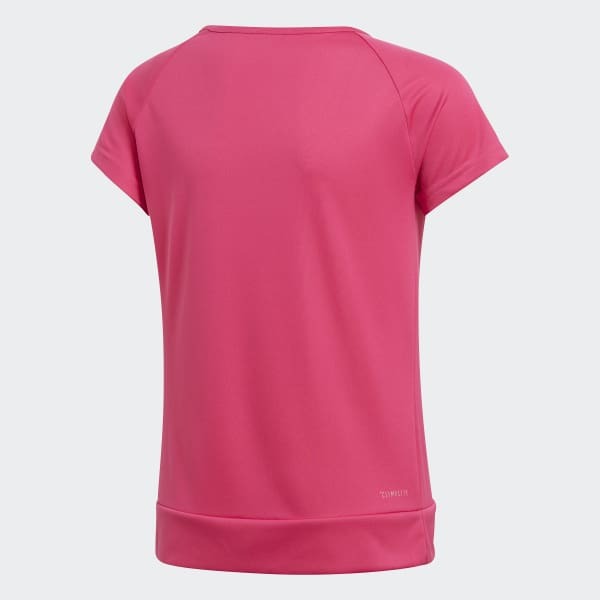 Go bold in this junior girls' training t-shirt. Featuring sweat-wicking fabric to keep you dry all workout long, this tee's raglan sleeves free up your arms for stretches, swings and swoops. The slim fit offers a sleek silhouette.